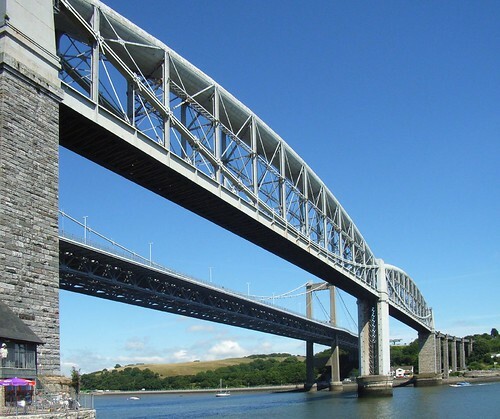 We start of with the most famous and internationally well recognised bridge in Plymouth. The Royal Albert Bridge built by IK Brunel. Construction started in July 1853. May 1859 saw the grand opening of the bridge that had cost only £225,000 to build! Brunel himself missed the opening due to poor health, He did eventually travel across the bridge laying on an open carriage but died soon afterwards in September 1859. Tamar and Brunel bridges, originally uploaded by MadPole. 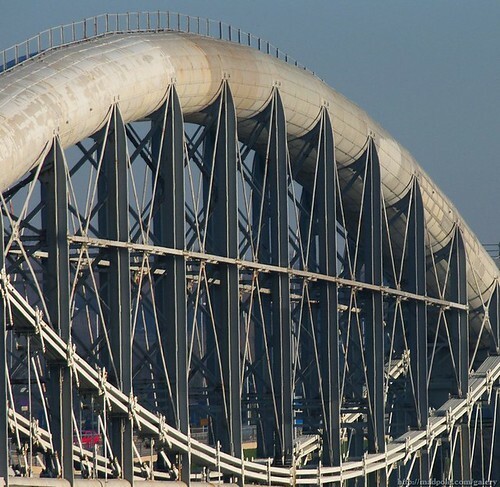 Alex Seal's Royal-Albert-Bridge site has details on the construction of the bridge and also a small selection of useful publications and other Research sources. The Design Museum page on IK Brunel. Finally the BBC considers the bridge to be one of the Seven Man Made Wonders of the UK.